We create new standards in call center & bpo services. New trends with endless Possibilities. 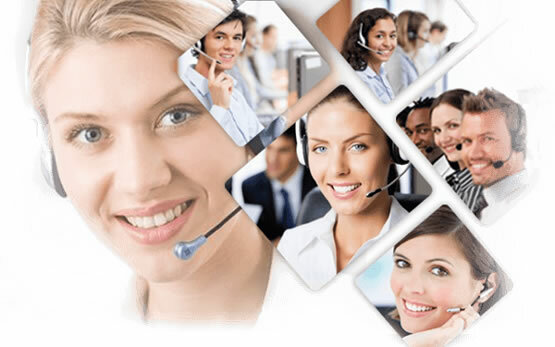 We deliver 100% trusted & Reliable Call center Services. Outsource your call center work with Josoft. We beleive accurate data entry service with 99% accuracy. Start outsource your data entry work with Josoft technologies. In today's busy, highly demanding world, it is not enough to provide your customers with the latest and greatest service. Customers are expected to reach their business at any time and on all their devices. If they do not, then they will go ahead in your competition. This is the reason that always available, friendly, knowledgeable and highly trained customer service agents are available to provide immediate support for your success. Josoft Technologies provides the most reliable and customized bpo outsourcing services to meet the unique needs of all your organizations. We also have experience in inbound call center, outbound call center, customer support ,telemarketing services, lead generation , technical and helpdesk support. Outsource all tasks to the professional data entry expert. Industry specific expertise helps us to back office services. To increase a website's visibility, traffic, ranking & Business. Outsourcing services touch every industry and business process. Josoft have the expertise in delivering tons of quality leads. Our mission is to remain a world-class enterprising, diverse and socially responsible development company, which provides high quality value-added services for our customers.Our mission involves helping our potential customers maximize their customer base and finally bring a competitive edge in increasing their productivity. It is to realize that when my team wins, then I win, my team wins, when Josoft wins; And Josoft wins when his customers win, when its stakeholders win. We strictly follow our mission & work diligently, and also exceed your expectations for your business outsourcing requirements. Understanding customer needs & market trends to deliver practical innovations is an abiding passion. We create our tomorrow by acting upon possibilities today. Our solutions are customer driven and built to bring simplicity to complex environments. We focus on frugal engineering so that our solutions have high market potential. Josoft Technologies recognizes core brand values designs innovative and unique experiences to delight your consumers. 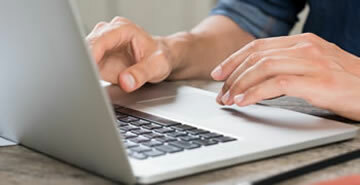 We strive to deliver agile data entry processes, quality control procedures, and prompt services around-the-clock with a sense of assurance and enhances the brand of your business. Processes certified and validated by the International Standards Organization drive the quality framework at our organization. The idea of "Quality at Every Stage" is what drives every project schedule here at Josoft. Every project, every document and every proposed methodology is put to rigorous testing and review across the services we operate. Everyone knows what to do, how to do it, and when to do it—there are no assumptions, because everything is documented in pre-approved formats. These formats undergo dual-level screening before they are passed on to the floor, along with recommended workflows. Every delivery is checked against a pre-agreed checklist to ensure compliance with quality targets. What is a BPO and how does it work? BPO means Business Process Outsourcing. Any outsourcing company works on the concept of outsourcing some of its non-core processes to another company. Often, some companies work completely as BPOs also, sourcing processes as the core service. What are the major sectors for outsourcing? IT and Communication, Medical and health services, Insurance, Finance, Law and Jurisdiction are some of the sectors where majority of outsourcing works get done. What is inbound / outbound call center? An inbound call center deals with a majority of incoming calls. That means that customers or potential customers are phoning you rather than the other way around.An outbound call center is the exact opposite of an inbound call center. Rather than having a majority of your calls come in to your call center, agents in outbound call centers are, for the most part, making outgoing calls. What is Business Franchise of Josoft Technologies? We believe that success in business can only be achieved by providing best customer support. Purpose behind providing Franchisees all over India is to provide our customers the best service at their door step, by our excellent customer support. We are providing good platform and opportunity to be part of Josoft Technologies Pvt. Ltd. for enrichment and embellishment of our companies. We give our practice as per the requirement in all types of industries. 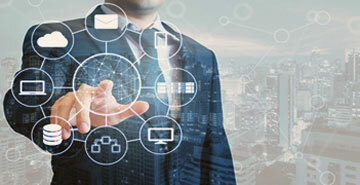 Josoft has extensive experience across all industries.Our highly customized team provides a deep industry knowledge and expert approach to each customer to provide a professionally qualified and business centric solution in an impressive series of areas. Our solutions are designed to fit your business, not on the other hand - ultimately reducing cost and risk while keeping your data safe, compliant and accessible.
" I'm working with Josoft Technologies that has a lot of resources in BPO, really specialized in bringing you up to date and constantly training you for new challenges and guaranteed profit"
Josoft has been a great asset in exploring new business capabilities. They were great at assisting our businesses with excelling in their strategic goals and capitalizing on missed opportunities in BPO field. We always look forward to work with Josoft, as they treat our customers like their own. Customer support and satisfaction are synonyms for Josoft,. Their call center executives ensure that no customer call goes unattended. They have not just helped us retain our existing customers, but also helped us acquire new clients. Thank you, team. Each josoft client comes with his unique query. We make a cut via our excellent data solutions to construct firm inroads to their heart. The way how we do make a killing is path-breaking. How we process is an upping towards matchless distinction in outsourcing. Our primary goal is the client satisfaction. We are able to offer you quality services that confirm to the highest international standards. Business outsourcing services are one of the best ways complete your work on time by getting help of outsourcing service providers. In this competitive world, Companies are trying to decrease their cost on running call center services to increase the profits. We at Josoft Technologies, are commited to our clients to give quality data entry services at wide range.